In the Somali Regional State, also known as DDS, the past ghost of autocratic rule refuses to relent. 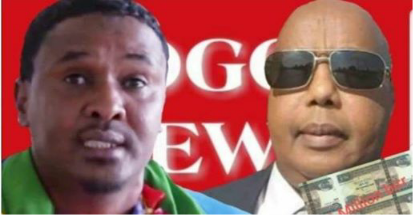 With the Arrest of Khadar Jigre and Ahmed Nuur Sahid, the region has slipped back into a treacherous and dark alleys of oppression and suppression of political views; the margins of freedom of speech have been narrowed. Located on the Eastern flank of the Ethiopian empire, the world did not know much about the Somali Regional State’s (DDS) human rights conditions. Thousands of political prisoners in Jigjiga, Godey, Dhagahbuur, Qabridhare, and elsewhere were hidden from the world until PM Abiy’s reform called for closing them for good; Somali prisoners were kept in dark dog houses for months and years. Some even are reported to have died in captivity. Even when international organizations for human rights came to know of the existence of miserable conditions in this region, they failed to acknowledge or even moved very slowly. All their actions were inconsequential for most prisoners. Both Amnesty International and Human Rights Watch, Africa branch, which maintains robust offices in the continent, were very slow to notice a biblical proportion of human misery under their very nose. Once Human Rights Watch published its report, it took everyone by a surprise. Nonetheless, the decommissioning of many jails, Jail Ogadeen in particular, brought a sigh of relieve to all. And this only happened because a country-wide reform decidedly came from Addis Ababa to close prisons in the region. Unfortunately, the Prime Minister’s first celebration for his acclaimed reformist change of peace and reconciliation coincided with a resumption of the old practices of human rights violations in the Somali region. The arrest of Khader Jigre and Ahmed Nuur Sahid on March 26, 2019, represents a picture of an already deteriorated human rights conditions in the Somali region. Arresting critics of the government willy-nilly is glaringly pronounced in the Somali regional state for the last eight months. And this has only one dimension – human rights violation. The irony of Ethiopia is that whereas PM Abiy Ahmed is said to have been nominated by some enthusiasts for the Nobel Peace Prize for his far-reaching reforms, the Somali region has embarked on a contrary campaign that flagrantly contradicts the pronounced reform. Bad governance is the Somali region ain’t representative of positive reform. On March 26, 2019, two prominent activists, Khadar Jigre and Ahmed Nuur Sahid, have been arrested not because of what rules they broke, but because of what they said over Social media platforms and, in the case of one of them, over what he said as a result of an honest interview that he gave to the BBC Somali program. 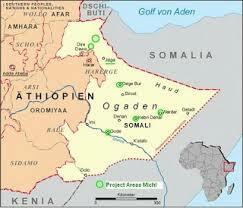 Of course, both activists have critically assessed the deficiencies of the current nascent administration in Jigjiga. Critics of the government accused the sitting president for his inability to institute credible reforms and rehabilitate government infrastructure to deliver services to the region. The most damning statement they made was when they said that he has reach the bottom in 6 months unlike his predecessor who reached there in ten years. Although these are harsh words, PM Abiy and a large section of the Somali society have said the same thing in the past. Even if these words represent an exaggeration of the reality on the ground, they are not grounds for arresting well-known activists. Neither is it wrong for the critics to openly expresse their disappointment with the administration with whom they had collaborated when both sides (the activists and the sitting administrator of the Somali region against the former strongman) were in the opposition group. Like other regions, the Somali region heavily and appropriately benefited from Abiy’s reform in a limited manner. The most notable gain thus far was in the area free speech. But that is waning now. Alas, why a simple expression of one’s political views landed these activists in prison? The action taken by the authority in Jigjiga is in total contravention to what has been preached for the last few months. The arrest of activists in Jigjiga is also contrary to the provisions of the federal and regional constitutions where freedom of speech is a guarded right by both documents. The arbitrary arrest of Mr. Jigre and Mr. Sahid meets the threshold for recognizing them as the first patch of post-Meles Zenawi “prisoners of conscience.” For a disclaimer, I published about three weeks ago an article, “The Ghost-of TPLF,” where I expressed my worries about the return of past autocratic practices. I did not at the time of writing foresee the fast pace at which the conditions in the region are deteriorating. As a matter of fact, both activists, whom I will soon introduce them to my readers, have strong relationships both in Addis Ababa and in Jigjiga. Equally, both have working relationships with the highest echelon of EPRDF. Also, both have immensely suffered under the previous administration where one lost hard-earned properties (Mr. Jigre) and the other was arrested for a long time without ever receiving any judgment (Mr. Sahid). Here is a brief background of the two activists who never called for an armed insurrection or called even for mass disobedience. All they did was legitimately criticize the weakness of the current leadership in Jigjiga. Prisoner of conscience Khadar Jigre is a middle age man who owns a successful business in the twin cities of Saint Paul and Minneapolis. As an activist diasporic businessman, Mr. Khadar Jigre has invested in the effort that fought the former regional president. 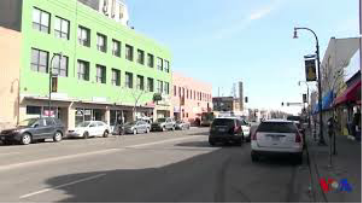 In 2016, he won city- and state-sanctioned low-interest loans and developed the strategically located Jigjiga Mall in the Somali district of Minneapolis. Consisting of three stories, the building provides a banquet that opens to a modest restaurant with a common space for elders and neighborhood residents to play games and conduct prayers. With a multi-purpose banquet as a main feature of the building, Jigjiga Mall provides a venue for community activities such as weddings and it doubles down with a forum for debates and discourse on community issues. I visited Jigjiga Mall this past February on commemorating the life and achievements of my late friend, Abdi Hosh, former Minister for Constitution of Somalia, whose sudden loss represented a national tragedy. This prisoner of conscience needs to get back to his home so that he can be with his family and attend to his hard-earned business. Most Somalis remember Khadar for his opposition to my ideas. But here we both stand for human rights and I totally condemn his arrest. Also, one has to respect his diasporic activism against the former autocrat who ruled the Somali region with an iron clad. Prisoner of conscience Ahmed Nuur Saahid is equally a successful businessman whose primary residence for the last few years has been in Addis Ababa. Mr. Sahid was arrested by the former regional administrator, Abdi Mohumed Omar, for more than 5 years. Once released, he had to abandon his residence in Jigjiga and established a new home in Addis Ababa so that he will remain safe from recurring arrests. Mr. Sahid is a gregarious and resourceful man. His political acumen is very superior and that is why he was instrumental in the peace talks between the Ethiopian government and one branch of the Ogaden National Liberation Front (ONLF Macow), which resulted in a peace agreement. Reliable sources in Jigjiga and Addis Ababa told me that he is a likable man who holds goodwill for his country. This April represents the one-year anniversary of Prime Minister Abiy Ahmed’s highly praised reformist change. The country-wide reform is supposed to divorce the country from its previous culture of arresting people simply because of their political beliefs. Such a culture was more pronounced in the Somali region where the worst prison system thrived under the watch of both local and federal authorities. That culture has yet to go away. Prisoners of conscience Khader Jigre and Ahmed Nuur Sahid should never have arrested; what they said over the BBC radio over of other social media is a protected free speech both under the federal and regional constitution. The arrest of these two activists represents a black eye on PM Abiy Ahmed and his reformist message as well as his candidacy for the Nobel Prize for peace. Worse of all and indeed an embarrassment to the reformist agenda of the country is the hastily concocted charges that allege that prisoners Mr. Jigre and Mr. Sahid “were toppling the state.” That is false and a despotic fabrication of charges that never happened; such charges are directly from the pages of autocratic rulers and we all know that. The two prisoners of conscience must be released without any condition. Faisal Roble, a writer, political analyst and a former Editor-in-Chief of WardheerNews, is mainly interested in the Horn of Africa region. He is currently the Principal Planner for the City of Los Angeles in charge of Master Planning, Economic Development and Project Implementation Division.